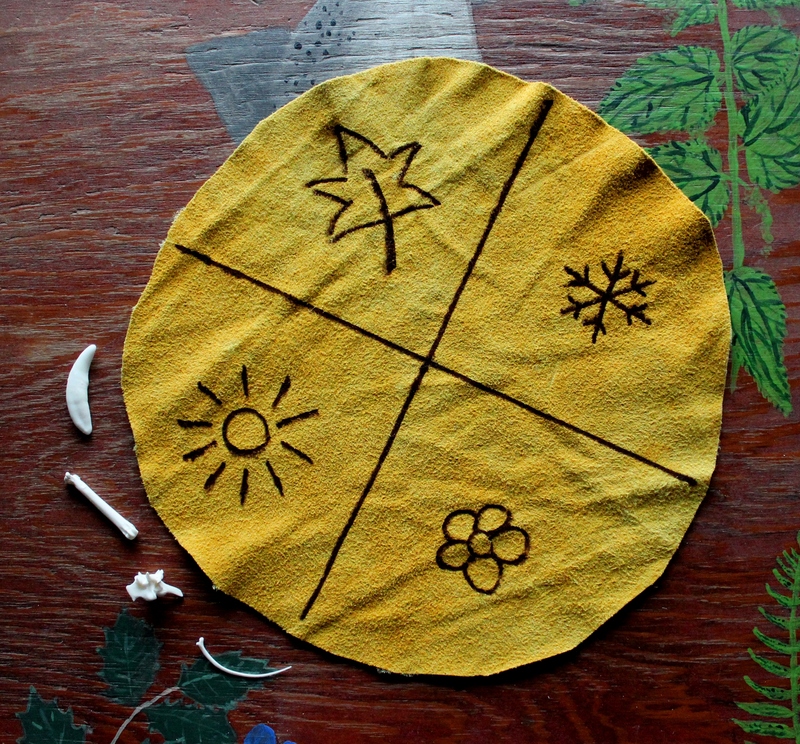 I have been practicing divination of various sorts since 1996. I currently offer tarot readings with the deck I created, the Tarot of Bones, totem readings with the Ted Andrews Animal-Wise deck, and bone readings with my Pocket Osteomancy set. Due to my schedule, please allow up to a week for online readings. (I’m generally a lot quicker about getting the reading done!) The results will be emailed to the address your Paypal payment came from, unless you make other arrangements; if you would like to pay by check or money order or arrange an in-person reading, please contact me. Your reading will be kept entirely private. In the event I will be out of town or otherwise have notice of something that will delay your reading, I will contact you through the email address provided. If you are in or near Portland, OR or Long Beach, WA we can do an in-person reading; please contact me to schedule an appointment. I am also available for reading at events; please contact me for details. 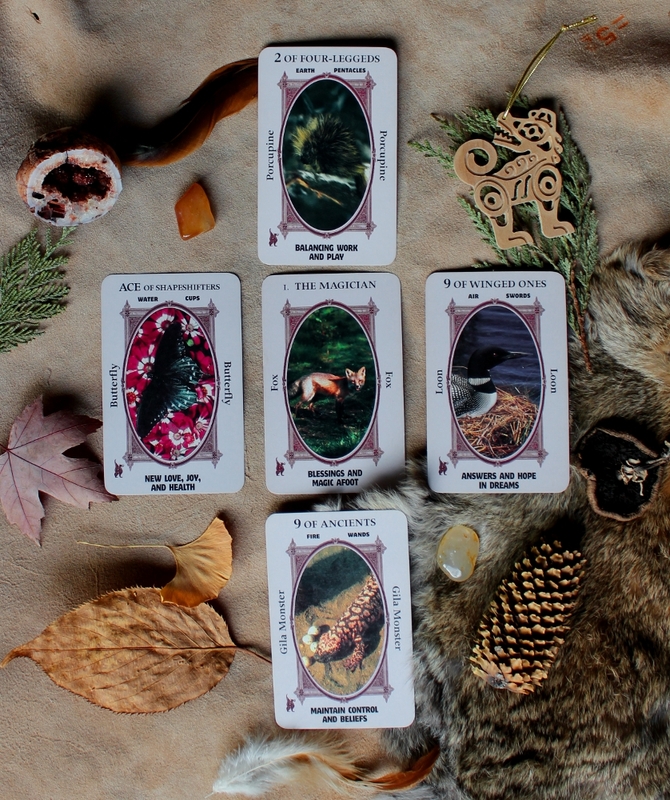 If you would like a monthly five-card tarot or totem reading (which can be done in person if you’re in Portland, or via email otherwise), you can sign up for the $20 package at my Patreon account. This is a 20% discount, since the five card reading is normally $25–and you still get access to other perks like the Patron-only feed and the monthly totem profile! For entertainment purposes only. Should not be considered professional mental health counseling or other medical treatment, or a replacement thereof. I offer several spreads with this deck of my creation. I can read for a specific situation or question, or I can do a general reading and see what comes up. Please purchase Tarot of Bones readings here at the Tarot of Bones shop. Single card draw: Just what it sounds like, one card to briefly sum up your situation. Three card draw: One each for past, present and future. Five card draw: This is my oldest spread, combining traits of the five elements (including spirit) and the five directions (including center). 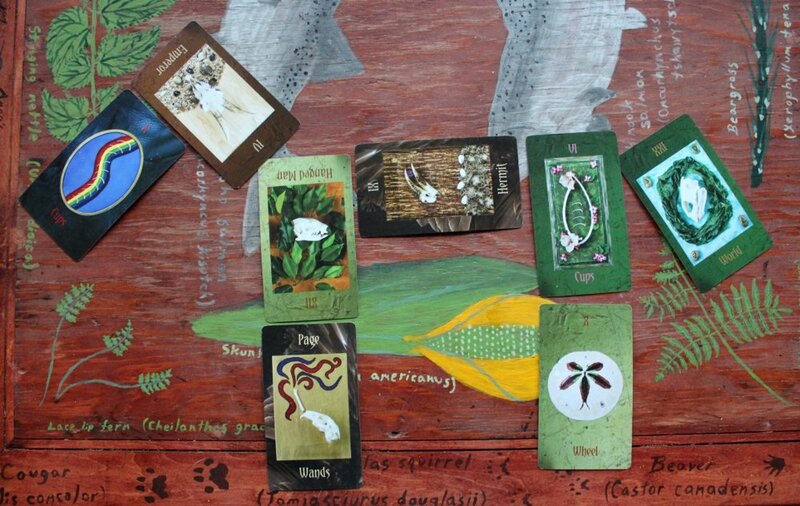 Horse Spread: An eight-card spread of my own design meant to be a look at your overall situation. Celtic Cross: A classic, this ten-card spread is quite versatile. Please purchase Tarot of Bones readings here at the Tarot of Bones shop. Since 1999 I have reading with the Animal-Wise deck by Ted Andrews. While it was designed as a tarot deck, I use a unique directional layout that I developed when I first got the deck. Since then I have done thousands of readings with a high rate of client satisfaction. 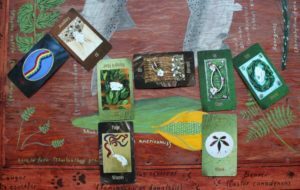 This is not a reading to help you find your primary totems; rather, the animals that appear in the reading are those that can help you with situations you are currently facing in your life, or with the problem you ask me to read about. I can read for a specific situation in your life, or a more general overview. What you do with your relationship with them once the reading is complete is entirely up to you and them; this is merely an introduction. A one card totem reading is $5.00; please use the button below to pay with Paypal, or contact me for other arrangements. A five card totem reading is $25.00; please use the button below to pay with Paypal, or contact me for other arrangements. Pocket Osteomancy is a simple bone divination set that I created based loosely on the four suits of the Minor Arcana of the Tarot of Bones. In spite of its structural simplicity, it requires interpreting the interplay of four bones with each other, and also four quadrants of the casting cloth, each representing a different season and its symbolism. This gives it more depth and complexity of meaning than one might initially assume. You can ask a specific question or inquire about a particular situation, or ask for a general reading and see what comes up as needing your attention. A Pocket Osteomancy bone reading is $15; please use the button below to pay with Paypal, or contact me for other arrangements.